Click the Invite More People button at the bottom of the conversation window. On the window that opens, click the listing for the contact you want to invite, or type their name or phone number in the search field. 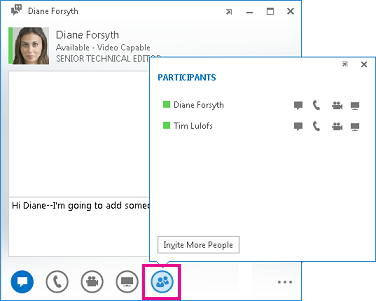 Tip: You can also drag someone from the Lync main window into the current IM window. They get an alert and are added to the conversation.